Asus has just wrapped up its Computex 2017 press event. Company chairman Jonney Shih took to the stage to present 'The Edge of Beyond'. That 'edge' comes from the increasingly thin range of ZenBooks and VivoBooks unveiled. Five new slim and stylish laptops were shown off Asus didn't stop there; it also showcased a pair of AiOs, a new monitor, the ZenFone AR, and the intriguingly designed Asus Blue Cave Wi-Fi router. (The full Edge of Beyond presentation video is embedded at end of this article). As hinted at above, the newest ZenBooks and VivoBooks are the thinnest yet from Asus. For example, the ZenBook Flip S (UX370) is the "world's thinnest convertible laptop", and the ZenBook 3 Deluxe (UX490) is the "world's thinnest 14-inch laptop". Meanwhile it might not break records by the ZenBook Pro (UX550) is the thinnest, lightest and most powerful in this professional-grade ultraportable series to date. Asus ZenBook Flip S (UX370): is only 10.9mm thin and 1.1 kg light, features a 360°-flippable display plus ErgoLift hinge for improved typing angle. Powered by up to a 7th Generation Intel Core i7-7500U processor and an ultrafast 1TB PCIe SSD. Buyers can specify a NanoEdge screen up to 4K UHD multitouch with active stylus support. Includes fingerprint sensor. Asus ZenBook Pro (UX550): based around a 15.6-inch 4K UHD NanoEdge display and quad-speaker Harman Kardon surround-sound audio. Under the bonnet of this 8.9mm thin and 1.8kg light device is up to a 7th Generation Intel Core i7-7700HQ quad-core processor for notebooks, gaming-grade Nvidia GeForce GTX1050 Ti graphics, a 1TB PCIe x4 SSD and 16GB DDR4 RAM. Despite its power Asus still promises exceptional battery life - up to 14 hours. Includes fingerprint sensor. Asus ZenBook 3 Deluxe (UX490): Again Asus has squeezed a larger display into a smaller form factor. The ZenBook 3 Deluxe has a 12.9mm thin and 1.1 kg light 13-inch-class chassis that houses a 14-inch NanoEdge ultranarrow-bezel display. Inside you will find a 7th Generation Intel Core i7-7500U processor, up to 16GB of 2133MHz LPDDR3 RAM, and a 1TB PCI Express (PCIe) SSD. Asus boasts this laptop provides two USB Type-C ports that are Thunderbolt 3 enabled with support for 40Gbps data transfers, dual 4K UHD external displays and power delivery. Includes fingerprint sensor. There's a pair of new VivoBooks too. These are a rung down from the premium ZenBook line but the new VivoBook S15 features a premium design with a 15.6-inch display in a 14-inch-class chassis, and the VivoBook Pro 15 is said to be the most powerful VivoBook ever. "Our brand-new ZenBook and VivoBook line-up truly goes to the edge of beyond, providing everyone with a new definition of thin, beautiful and powerful laptops," said Asus chairman Shih. Behind all these thinner and lighter designs are Intel's 7th generation Core processors. Asus VivoBook Pro 15 (N580): This is a slim and light laptop with a 7th Generation Intel Core i7-7700HQ quad-core processor, up to 16GB DDR4 RAM, and an Nvidia GeForce GTX 1050 GPU. Hybrid storage up to 2TB HDD and a 512GB SSD can be equipped. The display offers 4K UHD (3840 x 2160) with wide-view technology and a wide 100 per cent sRGB colour gamut. Harman Kardon stereo audio supports the colourful and rich visuals. Includes fingerprint sensor and support for the Asus Pen. 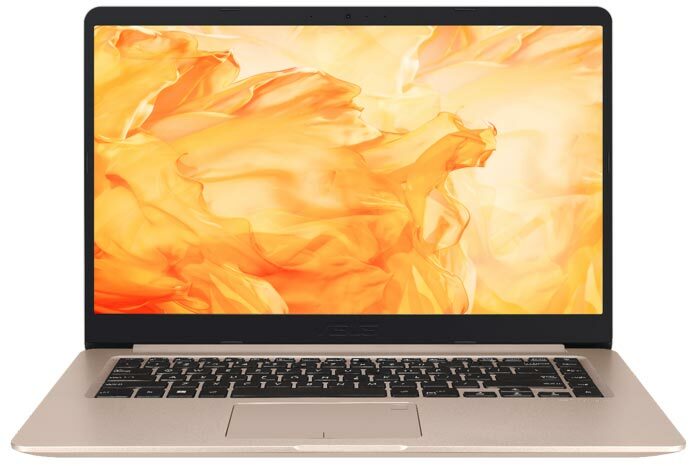 Asus VivoBook S15 (S510): This is the pinnacle of the VivoBook range. A 15.6-inch NanoEdge display laptop, it has a 17.9mm profile and weighs 1.5kg. Inside you will find a 7th Generation Intel Core i7-7500U processor with up to 16GB DDR4 memory and NVIDIA GeForce 940MX graphics. Asus also showed off a couple of new AiOs, the ZenFone AR and the Designo MZ27AQ monitor. You can read more about them here or watch through the video below. Here is an AC2600-class dual-band smart Wi-Fi router with a unique design. Asus says that it "combines superb performance, commercial-grade security and family friendly features with stylish good looks." Inside is an Intel dual-band Wi-Fi chipset said to be perky enough for problem free 4K UHD video streaming, lag-free gaming and fast file downloads. Its design is 'antenna less' but of course the antennas are inside. The internal array of antennas facilitates the appealing central aperture that is bathed in gentle blue light. 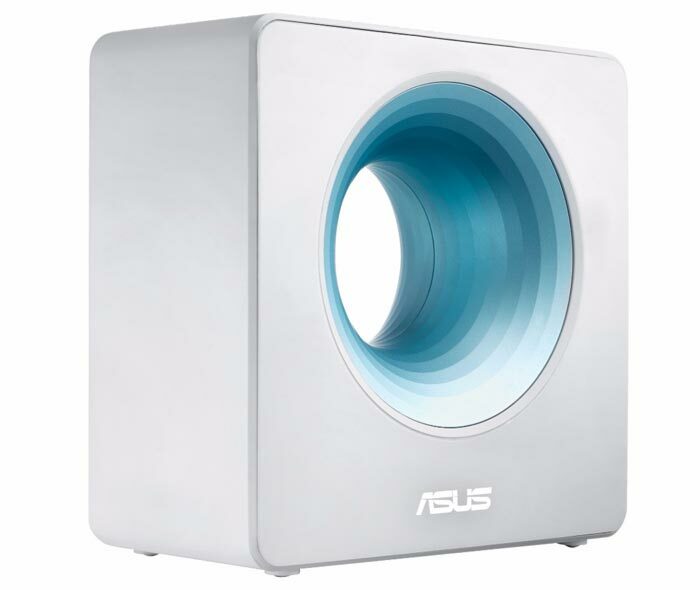 The incorporated Asus AiProtection security is a free-for-life security solution powered by Trend Micro Smart Home Network. Thanks to this your connected devices and IoT products should be protected from outside nasties. Another appealing feature of the Blue Cave is its PC-free network control using a smartphone or tablet. Owners can easily monitor and control each family member's internet and app usage. Is it a statement that router? If you were to just look at the picture of the Blue Cave you can think it's a speaker or a fan.